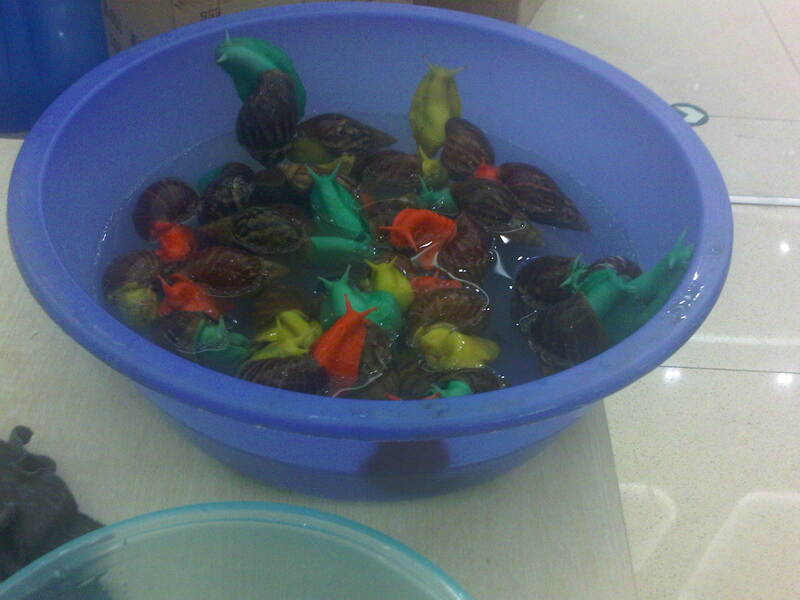 wow…I dont know how but someone in china is selling colored snails….I want one….a red one….I would name him Caliente Pequino and we would go on grand adventures….aka Aventuras Fantastico! This entry was posted in Amazing, Artsy Stuff, Pics and tagged china, colorful, snails. Bookmark the permalink.